I don’t know about anyone else but, for me, a new Country Studies volume is always a welcome sight. These handsome white hardbacks with the really striking black and red cover graphics are easy on the eyes and first-rate mental nourishment for fact seekers everywhere. The latest one, on Colombia, caught my eye and made me dig around a little for some background on the rest. The Country Studies/Area Handbooks series, to give it a more official ring, has been funded over the years by the Department of the Army and, since FY 2004, the Joint Chiefs of Staff, Strategic Plans and Policy Directorate (J-5 to those in the know). Since 1988, the Federal Research Division of the Library of Congress has prepared these excellent books. I haven’t been able to run down how far back in time the series extends, but it’s been around for more than 30 years – first as Area Handbooks (when the volumes had green covers) and then Country Studies. Country Studies present “a description and analysis of the historical setting and the social, economic, political, and national security systems and institutions of countries throughout the world.” They originally were intended to focus primarily on lesser-known areas of the world or regions in which U.S. forces might be deployed, so not every nation is included. For more about the series, go here. Like all of these books, the Colombia volume presents a concise history of the country, followed by sections on geography, population, religions, education, and social movements. Economic structure, transportation and communications, financial regulations and markets, government and politics, the military and national security – you name it, and the subject is covered, and covered well. Of particular interest are a brief section on Illegal Drugs and a historical and political overview of social violence and the development of insurgencies in modern Colombia. I can’t think of a better serious introduction to the problems and prospects of this key Latin American country than this book. Although most of the Country Studies series done in the past 25 years or so are available online only, printed copies of Colombia, North Korea, Iran, and Cuba are still available. You also can find these and other Country Studies in libraries (WorldCat is a good search tool) and via various bricks and mortar and online used book outlets. This entry was posted on Friday, October 8th, 2010 at 9:25 am and is filed under Library of Congress (LOC). You can follow any responses to this entry through the RSS 2.0 feed. You can leave a response, or trackback from your own site. I would like to use the ability of thanking you for the professional suggestions I have usually enjoyed going to your site. I am looking forward to the actual commencement of my college research and the overall prep would never have been complete without checking out your blog. If I can be of any help to others, I’d personally be happy to help as a result of what I have learned from here. 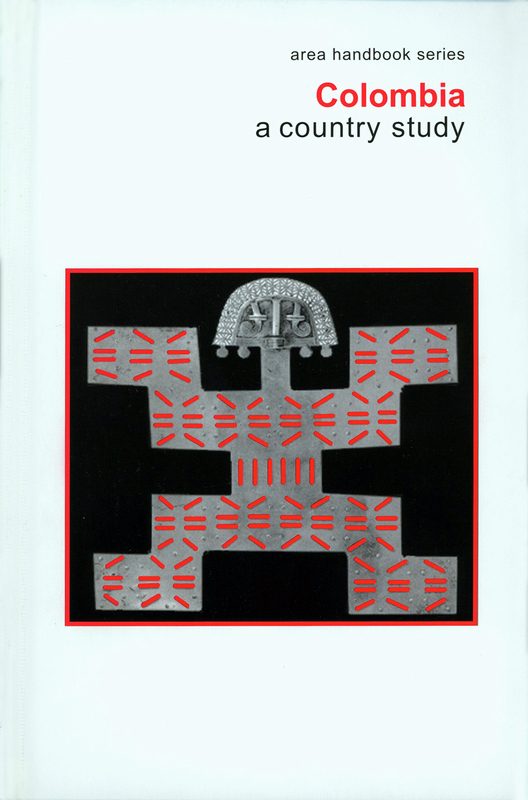 I heard about this series of books in the year 1998, and since then I must say that the quality is growing up, tracing a bridge between cultures, and offering awesome information about anthropology and indigenous cultures. Susan- Yes, these country studies represent an amazing amount of effort and are an invaluable tool for researchers. IT IS REALLY THAT THE COLOMBIA IS A KEY LATIN AMERICAN COUNTRY , WITH MANY COMPLICATED PROBLEMS AND FEATURES!VIA THE “COUNTRY STUDIES” WE CAN LEARN MANY THINGS ABOUT ON LESSER-KNOWN AREAS OF THE WORLD!ANOTHER INTEREST POINT IS THE FACT , THAT THE “COUNTRY STUDIES” WAS DEVELOPED BY THE DEPARTMENT OF THE ARMY OF U.S.! YHE “COUNTRY STUDIES” SERIES IS REALLY FANTASTIC! I really found the Country Study on Iran fascinating. Their power structure is a lot more complicated than the media or politicians give it credit for. Keep up the great highlights! Wonderful resource !! Thank you for reminding me of its existence. This blog is becoming one of my best resources!